100% of our business is through the channel. Small and Medium businesses are our key market, and our success depends on your success. Our innovation in equipment, solutions and services creates demand which is fulfilled by you. The opportunities to make money with Xerox extend beyond traditional printer and MFP equipment to include printing supplies, solutions and managed supplies services. You'll find details on these differentiators, as well as other parts of Xerox's channel value proposition, on the following pages. With products and solutions – Attractive offers and competitive pricing on our comprehensive portfolio are supported by online advertising to drive new business to our channel partners. Our growing App store of small business solutions and innovative support options provides opportunities for you to differentiate yourself in the crowded marketplace. You can also attract new customers by offering them a service which anticipates all their supplies needs. Our free, managed supplies service provides you with the ability to differentiate your business while delivering multiple customer benefits such as eliminating an administrative task, removing their need to order and store supplies upfront, and reducing their costs. With products and solutions – By implementing Xerox document management or print–centric solutions, you can add bespoke elements for specific customer needs. This adds value for the customer while making a move away to a different partner less likely. Click here for products and here for small business solutions. With supplies and service – You've sold your customer a shiny new fleet of printers, the invoice is paid, warranties are set up – job done! Well, actually no. There's a massive, highly profitable opportunity waiting for you – the supplies business. If you don't lock the supplies orders you're missing out on thousands of euros worth of ongoing revenue. And, if you don't ensure you're selling supplies for these printers, you can be sure your competition are. Check out Xerox Supplies Service to see how this free, no-contract, cloud–based solution locks in your customers' supplies needs – for Xerox and all other leading brands of printers. And don't forget to watch and share this short video to see how it works. The market is shifting to a managed print service environment with 'over 58% of SMBs considering automated supplies replenishment to be important or very important capabilities for their print environment' according to analyst Quocirca. If you don't support your customers with a managed print or managed supplies option, you can be sure someone else will, leading to lost business. Xerox Supplies Service is a free, no–contract managed supplies service that automatically manages ALL your customer's supplies and consumables – not just for Xerox products. Check out the short video above to see how Xerox Supplies Service works and apply for your trial today. Also see this excellent blog which highlights the hidden costs of not having a managed print service – very useful points for customer conversations. Use Xerox supplies to ensure your offer is complete and differentiated. Add value to your customers by engaging in dialogue and holding regular reviews. This way you will not only be able to manage their supplies needs, but you will also know when their printers are reaching End of Life, which puts you in an excellent position to tender for this business in the future. Reports from leading analytics laboratories Spencer Group and Buyers Lab Inc. (BLI) give resounding evidence that buying Xerox supplies will save you money and time. In tests, compatible supplies not only produced poorer image quality and lower yields, they also had serious faults that could damage the printer leading to costly repairs or replacement. 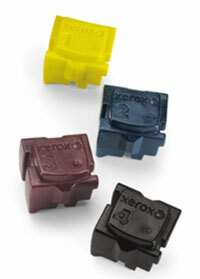 Plus Xerox also provide supplies for other printers including HP, Brother, Oki and Kyocera. These consumables are made to the same exacting Xerox standards and provide better or equal page yields and come with an unconditional, lifetime guarantee. Customers expect flawless print quality and extremely reliable devices. The Xerox Lifetime Warranty which is now available on many colour products underscores this commitment to quality, as does the warranty Xerox offers on its supplies. All Xerox branded laser toner cartridges and solid inks for Xerox machines are warranted for the life of the consumable item. Plus, Xerox supplies for other brand printers have a 100% guarantee – meaning they can be replaced at any point. And, the third party printer warranty remains valid too. Now that's a unique selling point you can pass onto your customers. Fact: Xerox supplies are 100% better than 'bargain' brands! Produce up to 50%* fewer pages per cartridge, you'll need to order double the supplies! Watch the video above and share it with your customers! "Xerox Lifetime Warranty" means you may claim a free 12 month Xerox warranty multiple times throughout the lifetime of an eligible equipment, upon meeting conditions (e.g. buying specific Xerox supplies ), but it does not mean you receive a "one off" Xerox provided warranty for the equipment's lifetime. Terms are found here. Applies only to specific equipment and supplies purchased during the period stated in the Terms in United Kingdom, France, Germany, Italy, Belgium, Luxembourg, the Netherlands, Spain, Portugal, Switzerland, Austria, Sweden, Norway, Denmark and Finland from Xerox or its reseller in those locations. Supplies must be sourced from within the EEA and Switzerland. Eligible equipment's lifetime is determined by Xerox (may end after pagecount reached, or due to working condition and product obsolescence). From design to manufacture to recycling, everything Xerox does is governed by their passion for sustainability. Our unique Solid Ink technology provides fast, high quality printing with significantly less environmental impact than laser. Non–toxic ink, 95% less supplies packaging than conventional laser, Energy Star rated products and double sided printing combine to reduce the carbon footprint of these popular printers. Xerox developed 'EA Toner' uses less raw materials and 25% less energy in production while improving print quality and reliability. Xerox have well–established recycling and returns programmes in strategic locations right around the world. 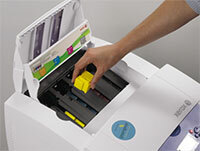 Xerox toner cartridges can be easily recycled. Where possible, Xerox encourage recycling at facilities that are local to you in order to reduce transportation overseas, thus being more environmentally friendly. Xerox have a range of high quality, re–engineered toner cartridges for non–Xerox printers, including HP, Brother, OKI and Lexmark. This means thousands of reusable empty cartridges are kept out of landfill, with the added bonus of conserving natural resources. 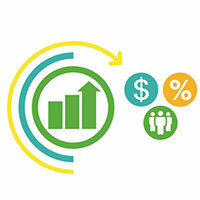 What's more, you can expect profit margins of at least 25%* simply by switching to Xerox! See the range here. The world expects every organisation to behave in an environmentally responsible manner. Promote this green message to your customers together with your own environmental practices. As part of Xerox commitment to a perfect customer experience we provide a free end-user technical support helpline for Xerox supplies for non-Xerox printers. If your customers experience any issues with their Xerox supplies for their Brother, HP, Lexmark or other branded printer they can call the hotline for support. Every time your customers buy Xerox Branded Supplies they can earn points which can be redeemed for thousands of rewards and millions of downloads including: retail goods, music, e-book & film downloads, gift cards, travel and more! Are you making full use of Genuine Xerox Rewards? If not, you're missing a great opportunity to encourage repeat business. Plus you can offer a unique promo code that doubles the amount of points they get – find out more. Are you aware that buying counterfeit products isn't illegal, but selling them is? If you're worried about supplies you've bought or have been offered, contact our Brand Protection team for advice and backup and make sure you understand your legal situation on cloned supplies. Also check out this great blog that gives a quick overview of the aftermarket so you understand the different products in this area. Xerox offers a printer or MFP for virtually every need. Consistently high print quality and competitive pricing across the range are supported by a full on-site warranty service. Extending these hardware capabilities to the next level are Solutions and ConnectKey applications, allowing you to meet changing work practices whilst opening up new profit opportunities. While competing on price is a valid part of any strategy, adding value is essential for growth. 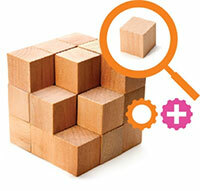 That's why you need Xerox Solutions – a suite of extra–value software that gives you a real competitive advantage. How? By giving your customers not just what they ask for, but something that they want and need. Something which makes office life simpler, easier and far more productive. Consider how people like to work these days. Because we like information to be accessible wherever we are and whatever we're doing, we all have smartphones and tablets. But printing from them, scanning to them, or integrating them into daily business is often tricky. We can help. The suite of Xerox mobile and cloud solutions transform standalone mobile devices into fully functional, network-integrated business computing platforms. It's something we're famous for. Selected Xerox A4 MFPs are equipped with ConnectKey, technology and software that delivers greater productivity, more convenience, improved cost control and leading edge security. The ConnectKey Apps you can offer your customers – either off–the–shelf or bespoke – help to increase user productivity by simplifying and shortening everyday tasks. You can develop simple applications and embed them on your customers' machines with easy–to–use tools. ConnectKey–enabled MFPs allow customers to make applications more accessible to their workforce – right from the device's touch screen. Plus, ConnectKey provides a common user interface across multiple devices – making them easy to use. Your customers can scan documents directly to cloud services like Google Drive, Evernote and Microsoft Office 365 for storage and collaboration, print from just about anywhere through mobile print capabilities, and do this all securely with malware protection from McAfee. ConnectKey enabled machines adapt to the way your customers work – on the go, virtually and through the cloud. The Xerox brand carries a quality premium, and the fact that it is under–represented across European countries provides an opportunity for above average profit margins. Differentiated products, supplies and service offerings can be proposed to customers in an often uncontested environment. If you sell printers, you should sell supplies – it's a natural revenue stream. If you sell supplies, you should sell Xerox supplies for all major printer brands – don't ignore 98% of the opportunity. Why leave money on the table? Because, if you do, you can be sure one of your competitors will be take it instead. Don't miss out on this sales opportunity and find out more how Xerox Supplies Service can lock it in. That's 100% of the supplies revenue – day after day, month after month, year after year. If you sell Xerox supplies for all brands, you should automate the process and never miss an order again. Earn 6 times more profit using the Xerox Supplies Service free tool and Xerox for other leading printer brands. What is Xerox Supplies Service? A free cloud–based service allowing you to remotely monitor all your customer printer supplies levels – not just Xerox. It ensures your customers have uninterrupted productivity and replenishment with quality Xerox replacement toner for all major brands. Savings of up to 25–40%. No down time. Simplicity. Never run out of supplies again. Makes their life easy. Ability to offer something different. Drives customer loyalty as a trusted supplier. A unique "back–to–back" ordering capability with distributors. You also benefit from up to 6x more profit with Xerox quality replacement toner for all major printer brands. Managing all print related business in each account will increase your productivity by driving equipment and supplies revenue and, with the Xerox Supplies Service, thereby decreasing the time to identify and fulfill opportunity. Using the Marketing and Sales tools we provide, you can quickly and easily communicate these differentiated messages to your customers. By sourcing toner for all major print brands from Xerox, you can achieve a more productive way of doing business. One brand that works with all printers: simplification at its best! You can secure up to 25% margin while providing your customers with superior supplies from a trusted source. Selling Xerox toner cartridges for multiple printer brands means you can grow your supplies business: More customers mean greater volumes with improved revenue and higher profits – a formula for sustainable long term growth. By offering a single source of supply to meet the needs of every customer, you'll get a much better insight into their business – not just for supplies, but for new equipment sales too. Avoid hassle and wasted time on admin with one single source of supplies for all your customers' needs. Use this saved time and money to focus onto what matters most – the success of your business. Get creative, boost your results, involve your teams and/or customers in inspiring customised programmes. Be proactive and drive sales with focus days and quarterly incentives – you can do it all with the support of Xerox! 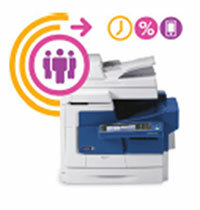 For more information on how to enjoy these great sales tools, contact your Xerox Supplies Account Manager. Trigger immediate supplies sales with our excellent free lifetime warranty offer. Special prices to medium and large end–user accounts are the perfect tool to easily generate and secure repetitive sales, month after month. If you have a large account or a regular order, contact your Account Manager and see if they are eligible for special pricing. Inside, you'll find dozens of free marketing tools including imagery, key messaging, social media snippets, independent research, powerful presentations, carefully crafted emails and loads more. 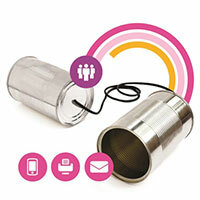 Use them to create and promote your own personalised customer communications to win more business. Xerox branded supplies for non–Xerox printers are specially formulated to provide the best image quality and most reliable printing. Browse our cartridge finder and select the Xerox quality supplies that will impress your customers with savings up to 40%*. Blogs are another great way of keeping in touch with your customers, without the hard sell. But, again, it's time consuming and sometimes difficult to keep coming up with new topics and content. Take advantage of the wealth of blogs and re–post, re–work to keep your customer dialogue going. Note the SMB and Simplify Work blogs in particular. The Channel partner blogs aim to cover issues that you face and are interested in. Topics are far ranging from the future of managed print services and winning tenders to social media strategies and best practices. Make sure you subscribe to this valuable knowledge source to always stay abreast of the current conversations. There is a great range of Xerox videos you can use on your website to promote understanding of Xerox supplies and the perils of using cheap, third party compatibles. Why choose Xerox Supplies for non–Xerox Printers?